It is better to bless than impress when I preach. For years I have tried to impress people with my sermons. After all, I want people to like me. I want my church to grow so I can share how many people my preaching is reaching. I want to be invited to speak at conventions and various events. This is why I have worked to impress people with my preaching. Naturally, I will justify this desire to impress with the most spiritual of reasons: people need to know Jesus! Since people need to know Jesus, and most church growth surveys indicate the preacher is a determining factor when a person chooses a church, I am compelled to impress people! I don’t want to risk turning them away from Jesus! This is why I must be a preacher who impresses people. I know this may sound right… and even feel right to us. But it doesn’t end right. I know making the preacher the focus of the sermon isn’t what you want. You don’t begin sermon prep by asking how can I make myself look good this week? You want your sermon to point people to Jesus. But when I am more concerned with impressing people, rather than blessing people, I have put the focus of the sermon on me. Today I am learning it is much better to preach sermons that bless, rather than impress. To bless is to speak well of someone or something. To bless the Lord is to speak well of what the Lord has done. By making the focus of your sermon to bless the Lord (a.k.a. speak well of the Lord), the Lord then becomes the focus of your sermon! Here’s what is great about God being the focus of your sermon: A sermon that blesses God will ultimately impress people. A sermon that blesses God will ultimately impress people. God is always going to be more impressive than me! People hearing the message of what God has done will always be more impressive than some funny story about my life from last week. I’m not saying you can never tell a funny story in your sermons. Please do tell stories to make points and illustrate your sermon. No one wants to listen to a boring preacher. But if you feel more pressure to find a great story to tell about your life than you do the story of what God has done in your life, then a red flag should go up! I guess I’m finally getting to the point where I am ok with not being the greatest preacher in the world. (As long as my wife keeps telling me I am the greatest.) I’m learning to be ok with not being the most well-known preacher, or the most-sought after preacher in the world. It’s actually very liberating. But I am not ok with preaching a sermon which does not Bless the Lord. This means when I am preparing the sermon for Sunday, I have to stop and evaluate the focus to make sure the Lord is blessed, rather than the people being impressed by me. Powerful preaching does not depend on how impressive I can be. Powerful preaching depends on how weak I can be. In my weakness He is strong. Can I take some of the pressure off of you? Stop trying to impress people on Sunday. Trying to impress is putting the sermon’s focus on you. You don’t need that kind of stress! It’s not your job to impress people this Sunday. It’s your job to bless people. 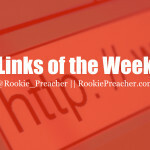 Just imagine what could happen if our sermons blessed the Lord each week? To bless is greater than to impress. 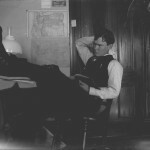 Want to write for us? Click here! Wade Allen is the preacher at Restoration Christian Church in French Lick, Indiana. Restoration was planted by Wade and 3 other families in 2011. Wade is married to Amanda, and they have a daughter named Lilly Grace. Wade now spends his free time looking at pictures of Lilly on Facebook. 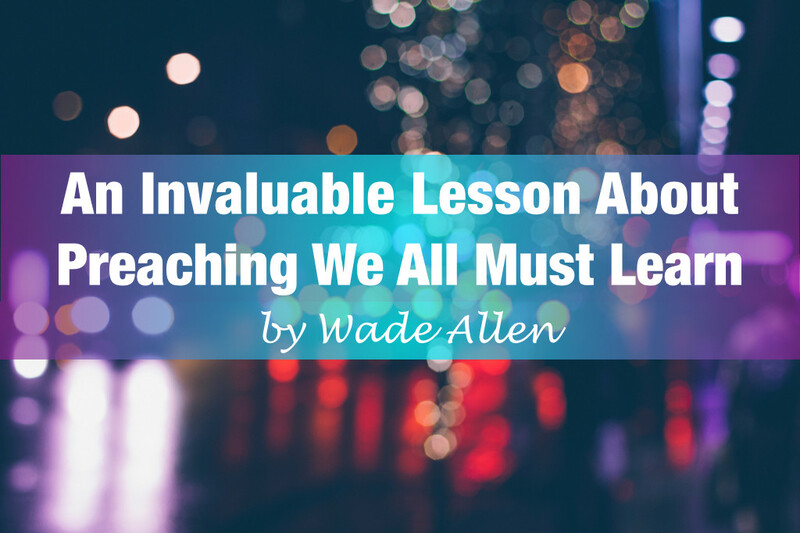 Visit Wade’s blog at: www.wadeallen.org or connect with Wade on Twitter: @wade_allen or Facebook.